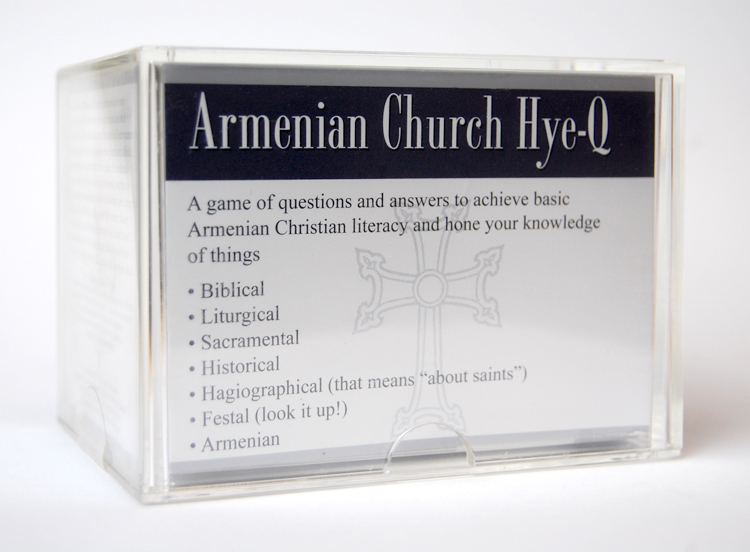 Hye-Q: Armenian Church Trivia is a game made up of 200 cards in six categories (1200 questions and answers in all!) 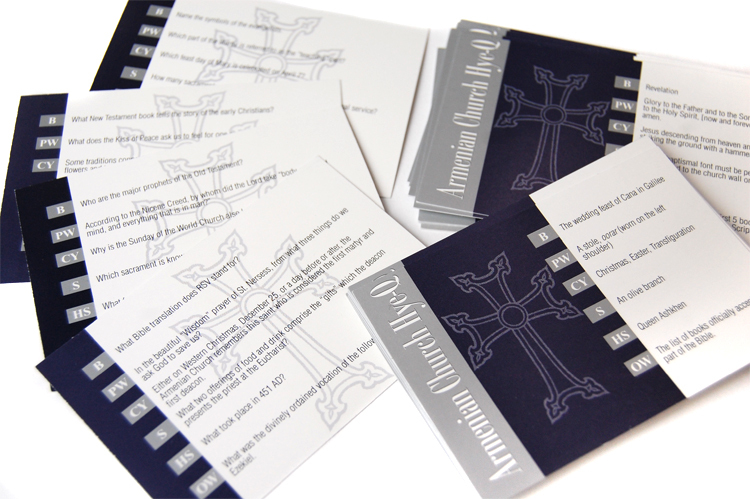 designed to help Sunday School students achieve basic Armenian Christian literacy. These questions help students hone their knowledge on all things biblical, liturgical, sacramental, historical, hagiographical, festal and Armenian. In addition to its fun format, this game is an exhaustive review of the basic curriculum categories and can be adapted for self-study, group review, classroom activities, parish competitions or family challenges at home.